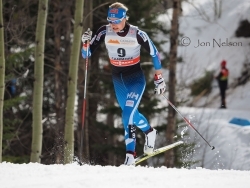 Finland's Anne Kylloenen is an accomplished Classic skier and was 6th in this race. 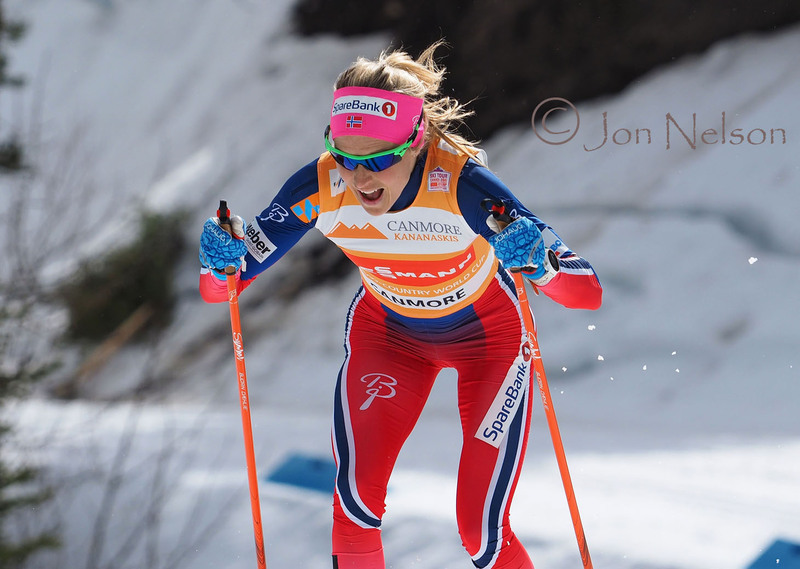 Therese Johaug took the lead from Heidi Weng and held on to win the overall Ski Tour Canada 2016. 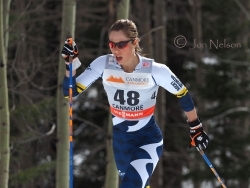 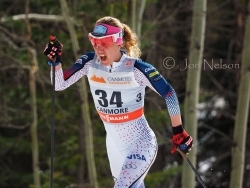 Caitlin Gregg skied in the 2010 Winter Olympics. Charlotte Kalla gives her all knowing the end of the race is not that far away. 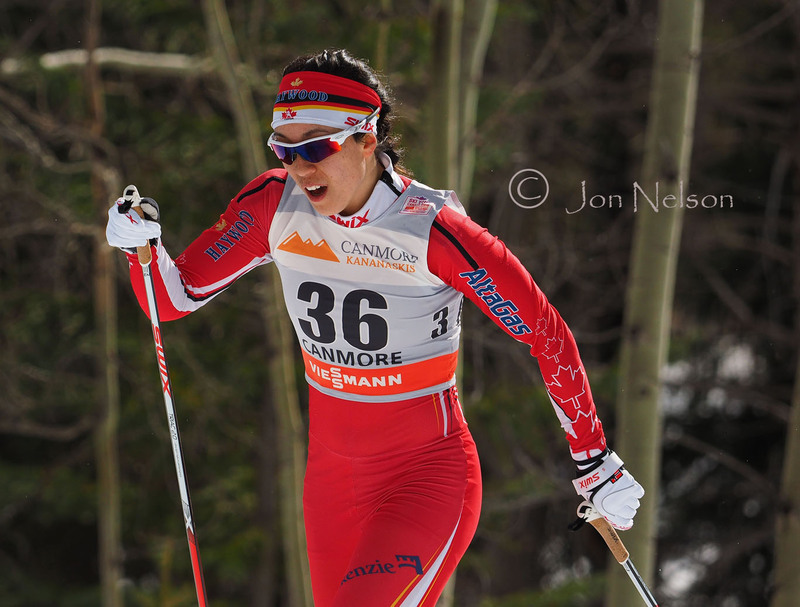 Emily Nishikawa fluidly skis up a small rise not far from the end of the race. 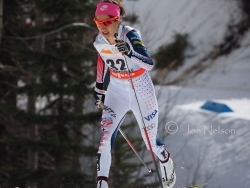 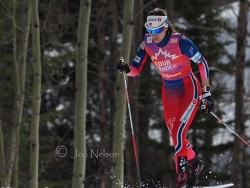 Heidi Weng won many World Cup races during the season, including some at the Ski Tour Canada 2016 and finish in second place overall. Annika Hicks knows these trails well since she trains with the Canmore Nordic Ski Club. 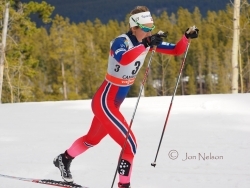 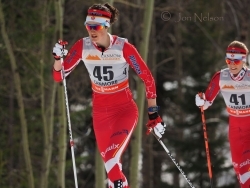 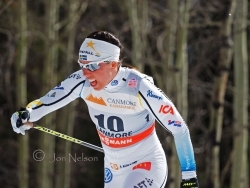 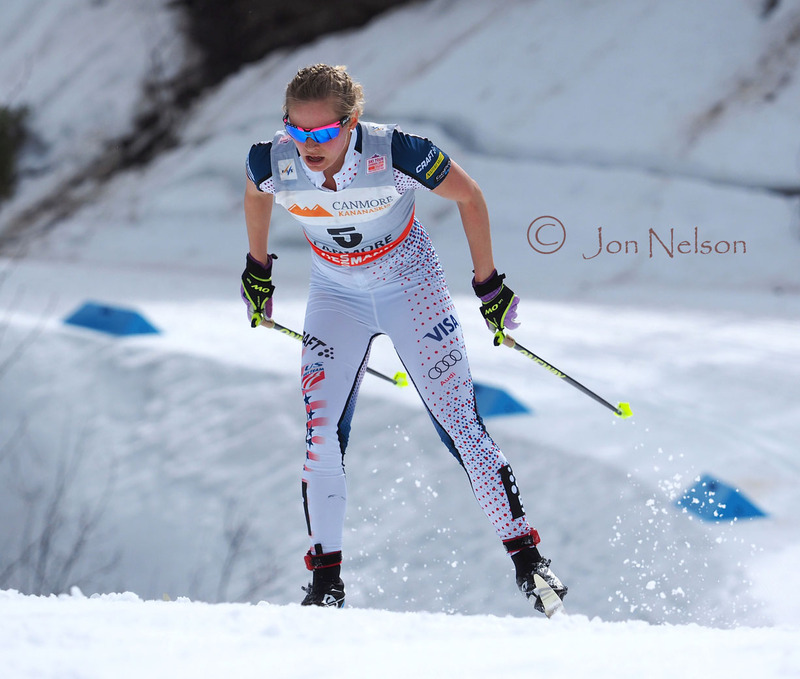 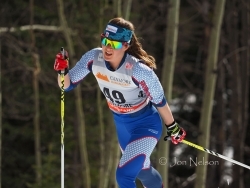 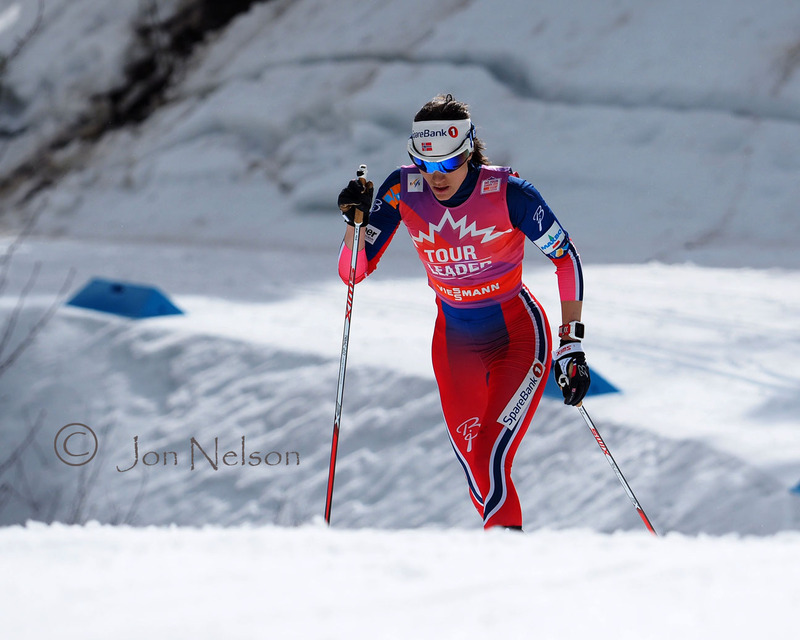 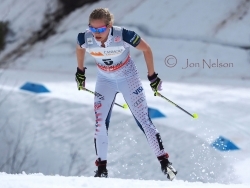 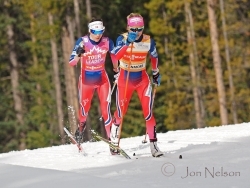 Ingvild Oestberg had a very strong Ski Tour Canada 2016 and finished third overall. 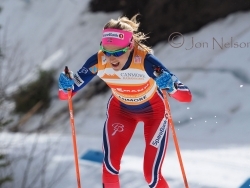 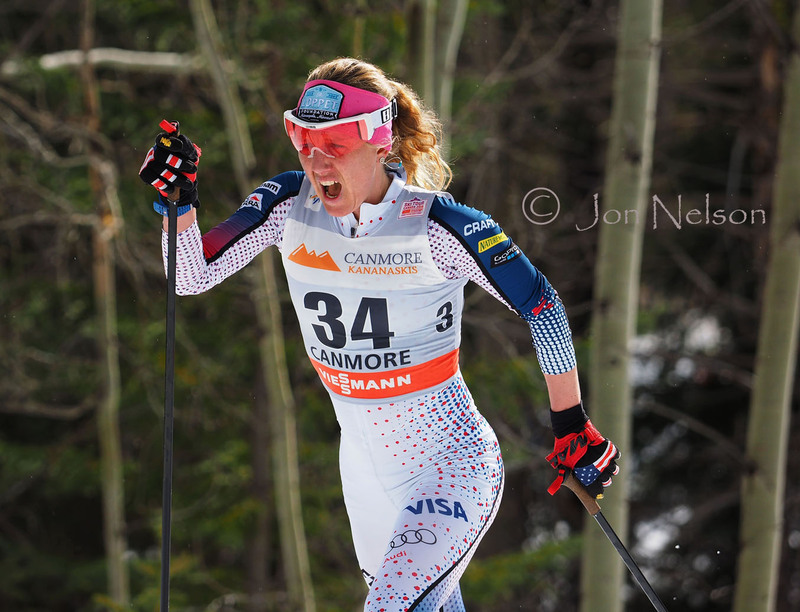 Jessica Diggins is one of the leaders of the American Women's team and finished 5th overall in Ski Tour Canada 2016. 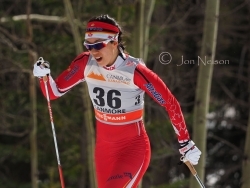 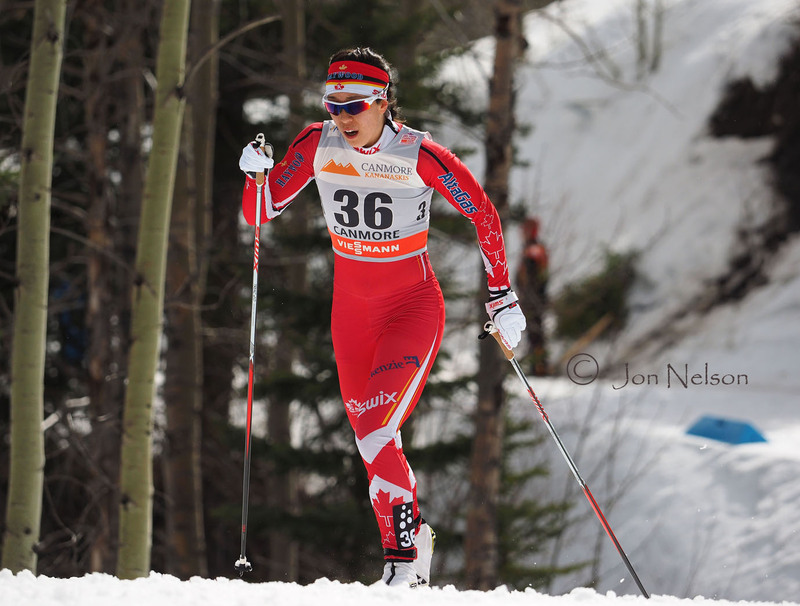 Emily Nishikawa grew up in the Yukon and skied in the 2014 Winter Olympics. 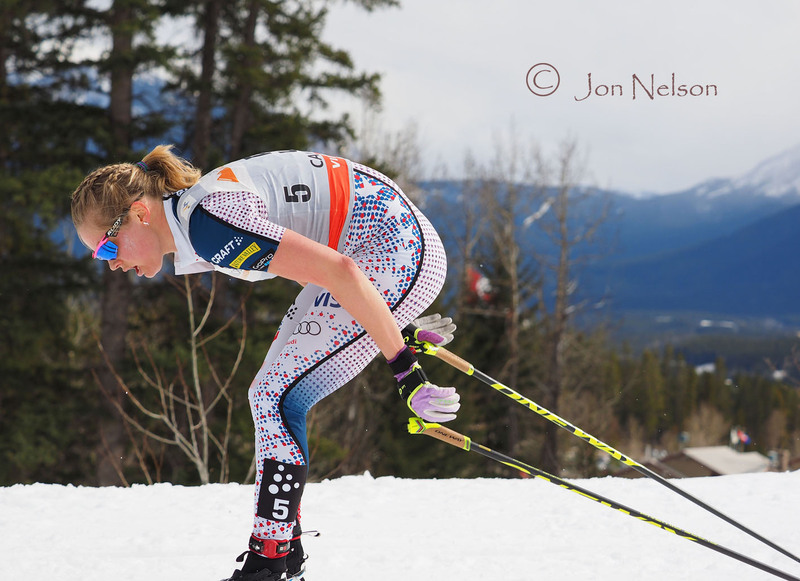 Maya MacIsaac-Jones grew up in on a small farm near Athabasca, Alberta and now skis for the Rocky Mountain Racers. Olivia Bouffard-Nesbitt is from Quebec and now trains at the Callaghan Valley Training Centre in British Columbia. 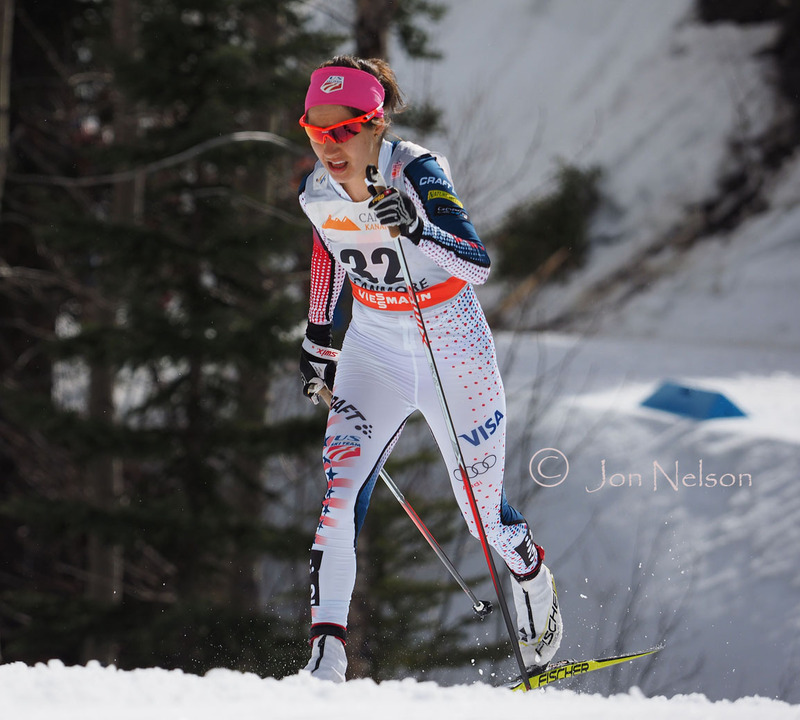 Petra Novakova was in the 2014 Winter Olympics in Sochi in the sprint, skiathlon, relay and 30 kilometers. 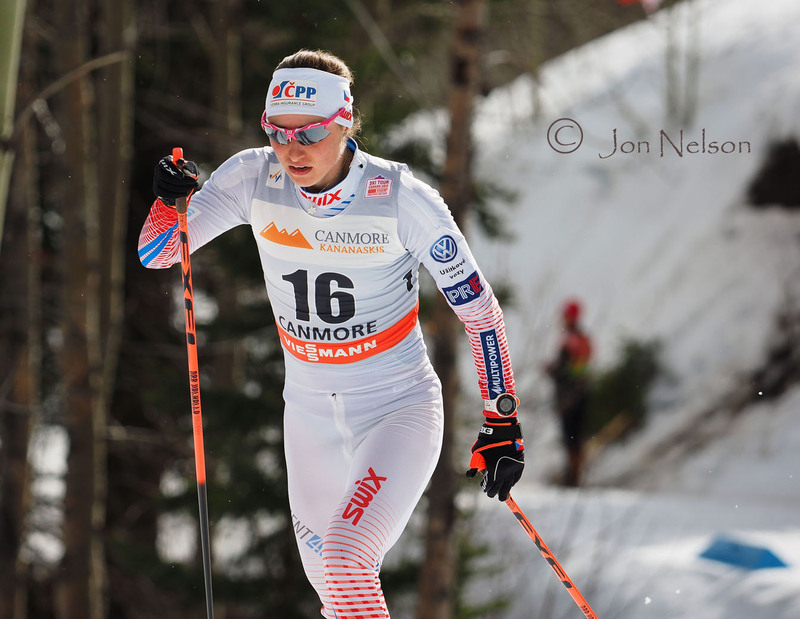 Petra Novakova competed at the 2014 Winter Olympics in Sochi, in the sprint, skiathlon, relay and 30 kilometers. 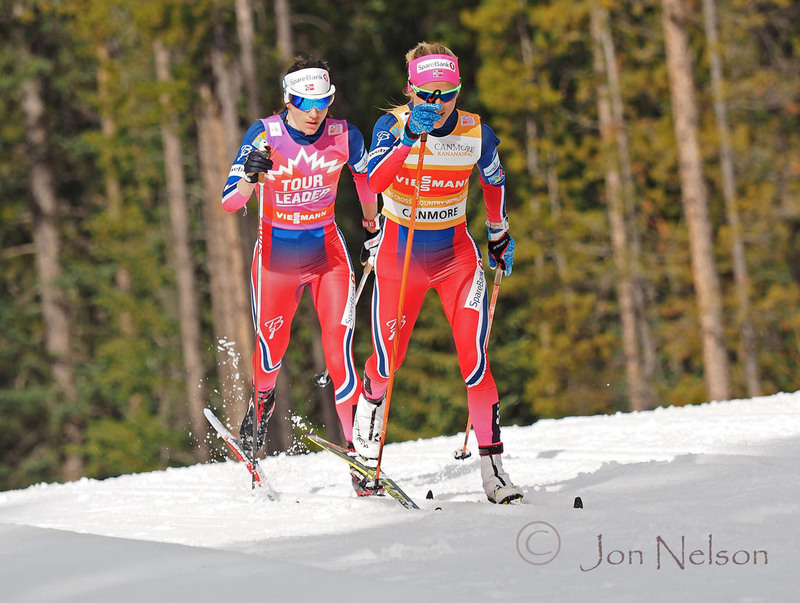 Jessica Diggins vigorously double poles up an incline. 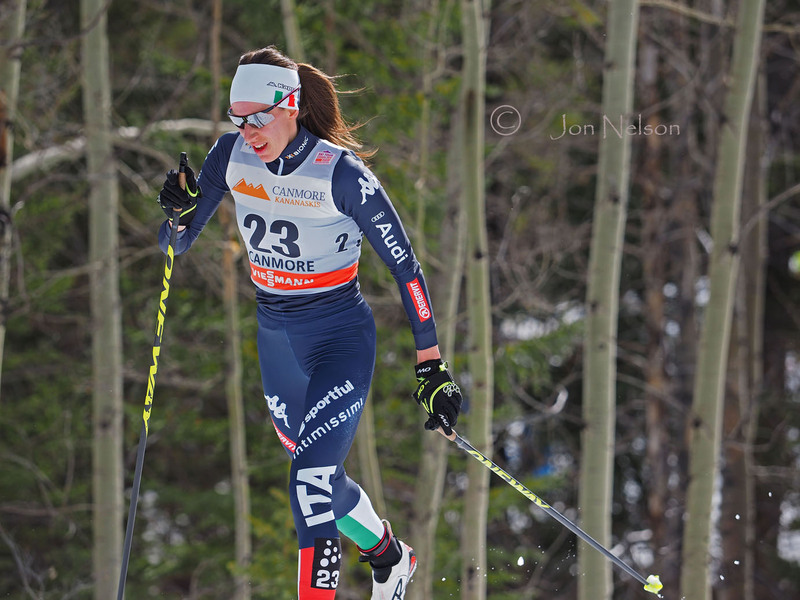 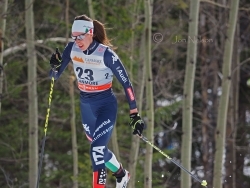 Virginia De Martin Topranin had a strong race and was one of Italy's top female skiers. 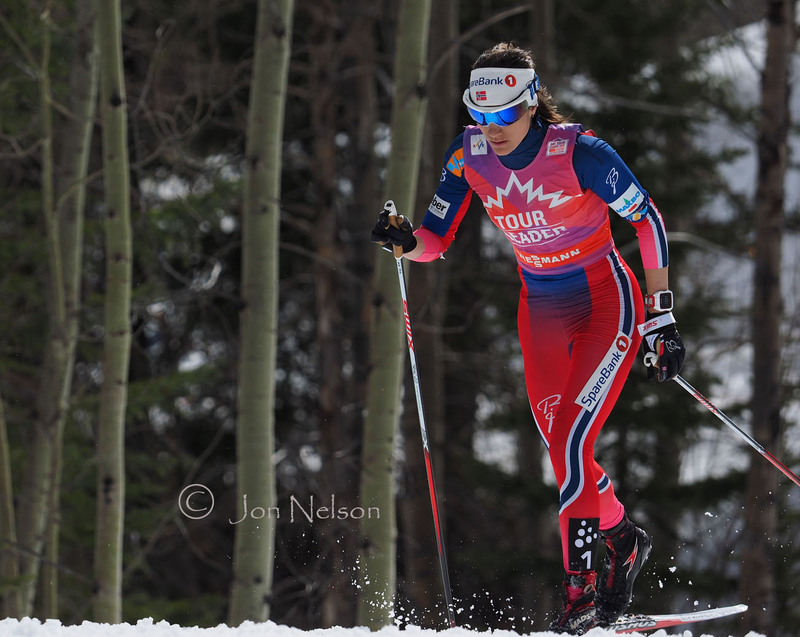 Therese Johaug was the dominant female skier for much of the year but had a tough battle with Heidi Weng to win the Ski Canada Tour 2016 and the Crystal Globe.